How To Apply Bagua to Office Desk for Success and Career Improvement. Once you apply Bagua to office desk it will help you create clutter free, organized and comfortable working space. You will also become more focused and confident in work you do. This new energy can easily attract "the right attention" for your career advancement. Don't wait. Print out our simple Bagua map and Enhancement Bagua Map. Now you can employ visible Feng Shui office desk cures by organizing your desk according to Feng Shui Bagua map. Be creative and apply these cures according to your personal needs and goals. 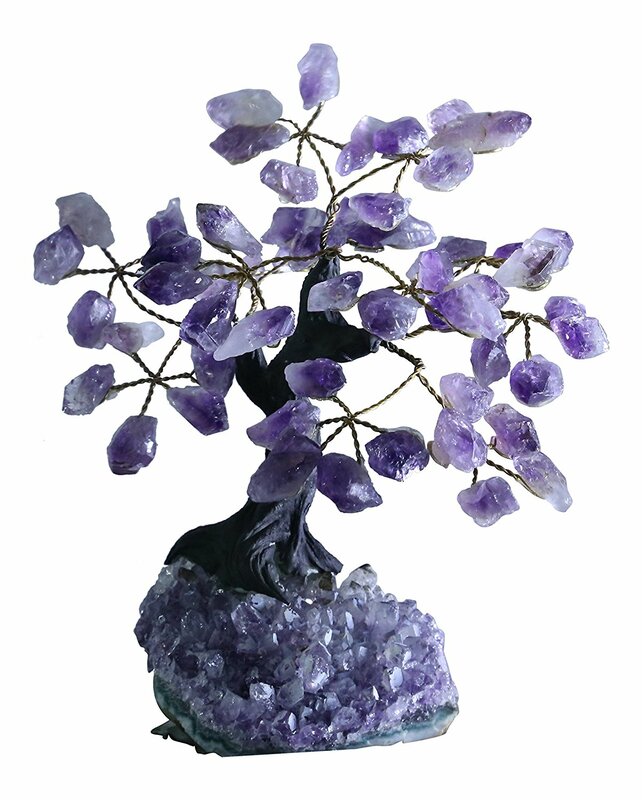 You can get more ideas from our Feng Shui desk tips page as well. 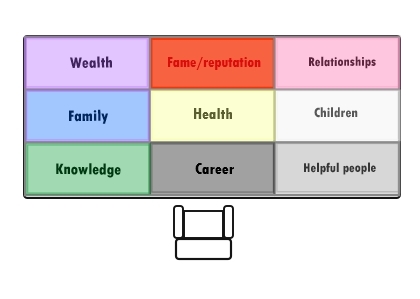 if majority of your customers come from computer leads, place your computer in the Wealth Life Area. your phone can be placed in the Helpful Area to attract helpful people and international customers as well. to protect and enhance your relationship with your loved one, you can use Love/Relationship corner of your desk for happy photograph of you and your spouse and healthy flower with round leaves and beautiful red/pink pot for instance. Each time you look at that arrangements it should give you feeling of warmth and happiness. to increase your Reputation/Fame you can place desk lamp in the Fame/Reputation Life Area of your office desk. Red lamp would be the best, but if it's not simply place the red star or nice red ribbon around it. Or add splash of red in any way you like. to enhance your Career Life Area of your desk use black colored items such as mouse pad or even better Earthing pad to protect you from harmful Electro Magnetic Frequencies (EMF's) that make all office workers feeling tired, drained and even depressed at the end of the day. You would be surprised how much the negative energy from fluorescent lights, Wi-Fi, cell phones, computers and all electricity around you adds up. Just compare how you feel after leaving your office and how you feel after sitting on the beach. We need to reconnect to nature as much as possible. Our bodies were not designed by nature to sit in an artificial environment all day long. Take a lunch break outside whenever you can, surround yourself by green flowers, open your windows if you can, try to get natural air and light in. In order to energize your precious Health Life Area you can keep yellow writing pad, desk calendar with photos of sunrise, golden statue of Budha or anything else that evokes sunny, warm and bright yellow color to make your heart tickle from happiness each time you look at it. But remember make it all work for your comfort and good feeling. Place these items on your desk so they are not in your way, even if you have to move them slightly. 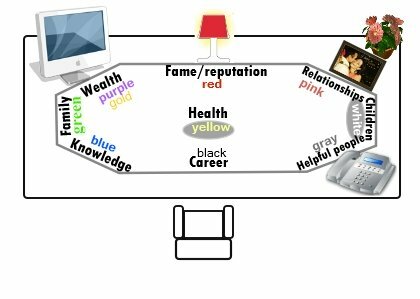 Feng Shui office desk tips offer more examples on what to place on your desk based on Bagua Areas. 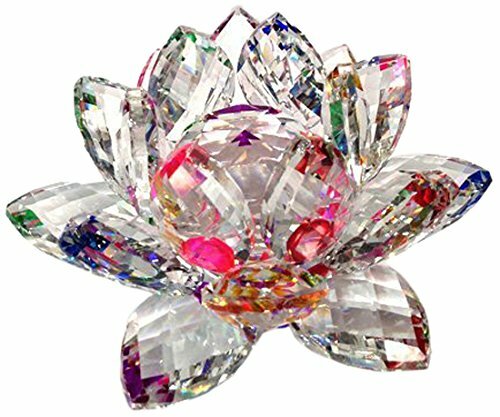 Invite the energy to your color enhanced and clutter free desk.... let it move freely from one Life Areal to another so they are all blessed for your success .... .
Once you apply bagua to office desk and positively adjust energy you might be surprised by the amazing results these cures will bring.